A not-yet-opened Atlantic City business was burglarized this week. Two men broke into the Beer Hall at 133 S. Tennessee Ave., police said. The suspects entered the business by breaking a second-floor window overnight Sunday, according to the police report. Several flat-screen televisions were stolen, according to the report. The Beer Hall is expected to open Nov. 21, the day before Thanksgiving, according to its website. 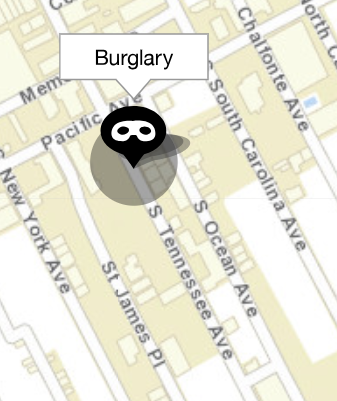 A burglary was also reported at 3:51 a.m. Saturday, according to the city’s new crime mapping system.